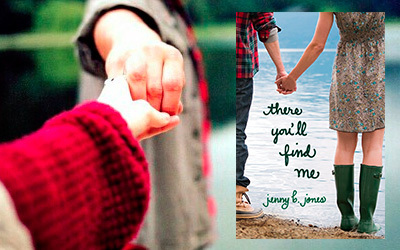 Last week, my co-blogger Emily Dexter challenged me to read There You’ll Find Me by Jenny B. Jones, a realistic novel which follows main character Finley Sinclair on a journey to Ireland. 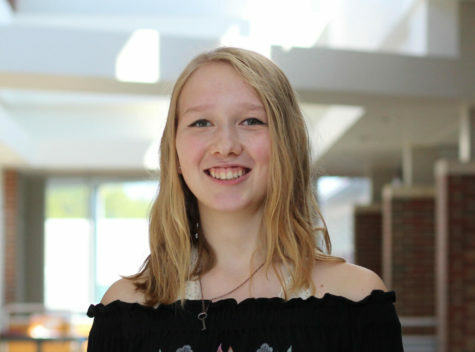 Finley, still struggling with the death of her older brother, hopes following in his footsteps by taking a trip to Ireland her senior year will help her finally finish preparing for her audition at NYU in a few months and take a break from her strained home life. However, with the help of those she meets on her trip, including love interest and vampire-movie star Beckett Rush and cantankerous old lady Mrs. Sweeney, she also learns how to come to terms with her brother’s passing and rediscover her connection with God. Though at first I thought the novel would be predictable and cliché due to the glaringly inevitable movie-star romance, it ended up addressing several complex issues and ultimately provided an encouraging moral to anyone going through a tough time. Throughout There You’ll Find Me, Finley deals with the death of a loved one, depression, an eating disorder, and complicated relationships with Beckett and Mrs. Sweeney, difficult issues to cover all in one novel. However, Jones does a commendable job capturing a realistic portrait of these issues, showing Finley’s denial of her problems and emphasizing how she needs to recognize her issues and ask for help to solve them. In addition to the complexity of the plot and Finley’s moral journey, I also enjoyed Jones’s descriptions of Finley’s physical journey through the beautiful landscape of Ireland. Jones details several tourist attractions and hidden wonders of this country I hadn’t previously known about, adding an interesting cultural aspect to the book. If you’re going through a tough time or are just interested in a novel about one character’s inspiring journey, I would recommend There You’ll Find Me. This novel demonstrates how with a little help and a little faith, it is possible to overcome any problem you may face. Who knows, maybe this book will inspire you to embark on an Irish journey yourself. Emily, for next week I challenge you to read Pivot Point by Kasie West. Set in a paranormal society where people with enhanced mental abilities live unbeknownst to the general populace, this novel follows main character Addison Coleman, whose mental ability allows her to see potential outcomes of her choices, as she attempts to make a life-changing decision. I hope you’ll enjoy the complex plot as much as I did, and maybe you’ll want to read the sequel, Split Second, as well. Happy reading! On this blog, Emily Dexter and Carson TerBush will put their book recommendations to the test. Each week, one will challenge each other to read a book she has read before and enjoyed. The following week, they will judge the recommended book and then propose the next challenge. They hope to inspire new readers to read some new books. To read more, check out the Café Libro blog at https://hilite.org/category/cafe-libro/.